May I please say I have the biggest crush on him. BIGGEST!! I have so far only seen him on the web in the Satorialist or Jak&Jill kind of blogs and in some printed fashion magazines. He was strutting out of the tents with immense speed and I was at the coat check trying to get my coat when I saw him. I dropped my jacket on the floor and ran in front of him. First I asked if he had a minute to spare cause he looked like he was in a hurry and he said sure!! And then I babbled 10 sentences to him which all meant, “I love your style” in different words. And he was incredibly sweet and almost humbled to have heard my fascination with him. I love people who have made something of themselves but don’t loose their ground ever. I wish him all the best with whatever he does in life. Spotted at the front row of the Naeem Khan show I walked right upto her and I could almost feel her welcoming eyes. So sweet! I felt like hugging her, but ofcourse I like hugging everyone, and I had to behave so I did. She even wrote down what she was wearing for me in my book while I took pictures of someone else. If I sell her hand written note on ebay, will I make any money? BTW, she is wearing everything from her own line Rachel Roy and a Missoni Jacket. I think at the entire NY Fashion Week he was the only Bollywood representative. Spotted at the front row of Prabal Gurung’s show I couldn’t help get excited at the prospective of seeing some Prabal stuff in his upcoming movies instead of Manish Malhotra designs and hence I had to go and talk to him. Again he was more than sweet and happily struck a few poses for me. After I took pictures of him and then settled down in my seat [which was right across from him but on the second row] I was thinking to myself, “If I were in India would I have ever gotten a chance to meet him so uninterrupted and casually?” Since I have been out of India for many years now I have no idea. Do you? 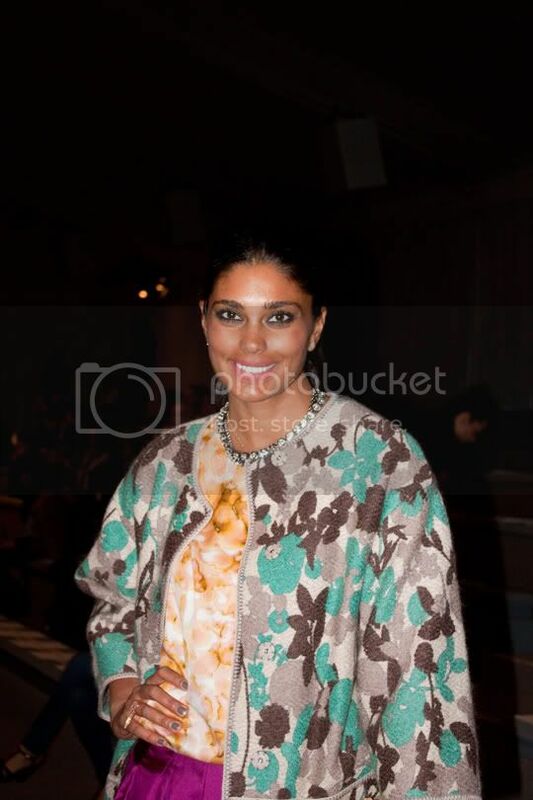 WOW.. Rachel Roy is fabulous.. Love her outfit.. I want a skirt like Rachel Roy!! 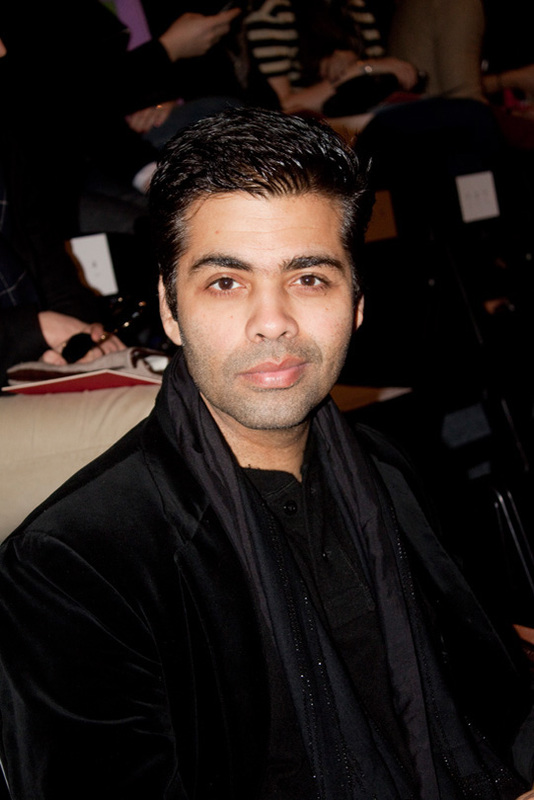 I doubt that you would get within 30 feet of Mr. Johar in India. I saw small edit on TV about his empire and he's had quite an entourage with him. omg i love your blog already. this post makes me miss nyc so much. I really love the style the man of the first photo. Thanks for your sharings of the other side of the world. Fashion connects. naice... very true about seeing ur crush in some websites etc. i wonder what he thinks about manmohan singh's forever blue turban. (which i like coz it feels peaceful but again sometimes it looks faded) oops, sorry for digressing! OMG I love his smug little face! 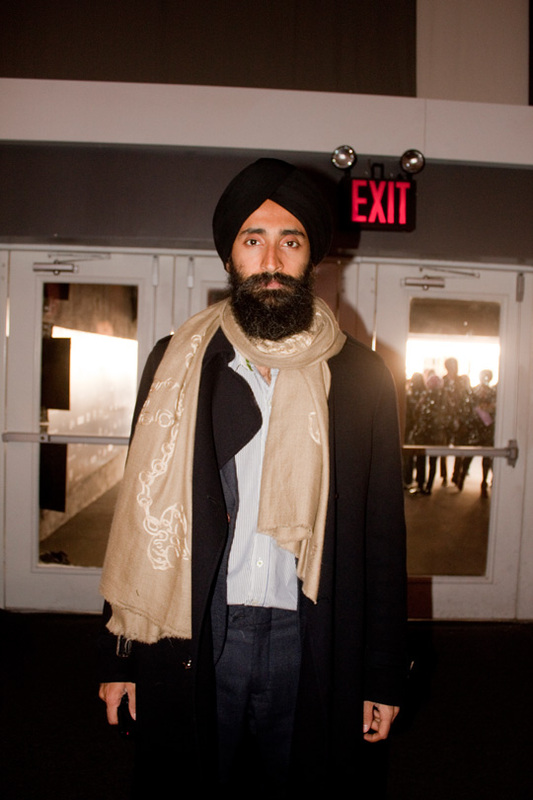 hello...waris & rachel...wow. I'd be smitten too. Chanel 2.55 beige.. my dream!